At Aurora Active we take you health and your fitness journey personally. We are the only ones in the Highlands offering personalised small group classes and we are passionate about helping “you” achieve “your” goals. Every session is different and run by the very best personal trainers/fitness coaches where we can modify each exercise to be as easy or as hard as is required for “you” and “your” fitness level or ability. 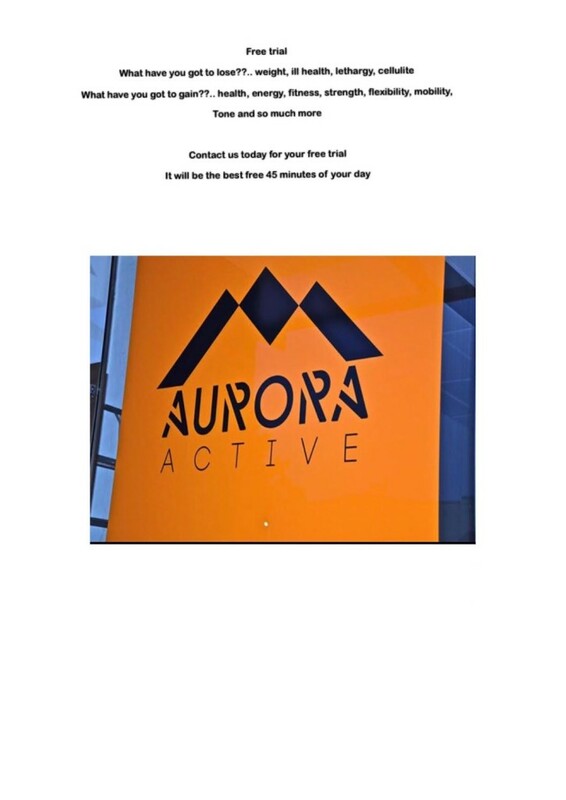 Today is the day you need to come and see why Aurora Active is “not another gym” and why our personalised small group classes are different and the best. Contact us today for first free trail session – It will be the best 45 minutes of exercise you have done.